The Washington Lions Club is composed of men and women living or working in the Washington area. Current members were all invited to join because a Lion thought they would be an asset to the Washington Lions Club in their service to the community, their country and Lions International. Washington Lions Club currently has 190 members with seven members having over 50 years service, Twenty-four with over thirty, thirty-two with over twenty, 41 with ten or more years of service. That leaves ninety members having less than ten years of membership, with thirty-two of those having less than two years of service. Ages range from a low of 25 to 91 and forty-two members are female. There are ten family memberships with five multiple generations families. Washington Lions meet every Tuesday noon at the Washington Elks Lodge on West Fifth St. A home cooked meal is shared by those in attendance and a program on some interesting topic is provided. Meetings are changed to 6:00 p.m. for social hour and 7:00 p.m. dinner the last Tuesday of the month. One evening meeting normally in September or October is held at a Lions Lake pavilion and is a fish fry. A second evening meeting, the fair appreciation dinner thanking all the non-Lions who helped us at the fair is held in August at the Riverfront Park. Washington Lions Club is part of District 26 M-2, one of seven Missouri districts. District 26M-2 is composed of Lions Clubs in Franklin, Jefferson, Gasconade, St. Louis Counties and St. Louis City. Washington Lions Club is the largest club in District 26M-2 and second largest in the state. Washington Lions are also members of Missouri Lions headquartered in Jefferson City. All Lions are members of Lions International headquartered in Oak Brook, Illinois. Lions began with an idea of our founder, Melvin Jones in 1917 and have grown to the largest service club in the world with over 1.4 million members in over 46,000 clubs in over 208 countries and geographic areas. 2017 will mark the centennial anniversary of Lions International and the annual convention will be held in Chicago, Illinois the home of Melvin Jones and Lions International. Special events and projects are planned by clubs around the world to commemorate this occasion. Washington Lions was originally chartered in January 1933. That charter was lost and the club was reorganized and chartered August 28, 1939. The first president of this club was Dr. Robert F. Zoellner. Charter members with family still in membership are: John H. Feltmann, and Guy H. Fischer. Washington Lions will celebrate their 75th anniversary in October, 2014. Area Lions Clubs sponsored by the Washington Lions Club are: Union Lions Club, Marthasville Lions Club, Warrenton Lions Club Gray Summit Lions Club and Wildwood Area Lions Club. The Lions Emblem is a gold letter “L” on a circular purple field. Surrounding this field are two Lion profiles facing away from the center. The Lions face both past and future – showing both pride of heritage and confidence in the future. On top of the emblems is the word “LIONS” and on the bottom is “International”. The colors purple and gold are the official colors of Lions. Purple stands for loyalty to friend, and for integrity of mind and heart. Gold symbolizes sincerity of purpose. Liberality in judgement, purity in life and generosity in mind, heart and purse to those in need. The Lions slogan is “Liberty, Intelligence, Our Nation’s Safety” and the Lions motto is “WE SERVE”. This brings us to the next subject: What do the Washington Lions do? Washington Lions have taken the Lions motto, “We Serve” to heart. Thousands of hours are volunteered each year to raise money for projects in Washington, the District, the State and even the World. Lions meetings, operational expenses, news letters and even parties are funded from dues and Lions pockets so all monies raised through work at various events or fund raisers are given back to the community or specific charities and projects. Local projects are visible throughout Washington and many may not know that Washington Lions are responsible for the particular benefit they enjoy. Lions Lake and fountain are the most obvious to most people. The 10 acre lake was dedicated by the Washington Lions in 1955. The fountain was added later as a means to aerate the lake and keep the ice from forming for the ducks and geese in the winter. Four of the pavilions around the lake were also built by Lions. Trees have been planted in several park areas in recognition of specific bequests and at the request of the park department. Rennick Riverfront Park is a popular spot in every season and the sight of many community activities. Washington Lions are responsible for the Flag Complex and one of the pavilions is dedicated to Peter J. Meyer a long time Lion officer. A new bar-b-q pit was built in 2000 to try and alleviate the smoke and space problems in the main pavilion. Space continued to be a problem and a main pavilion addition was completed. The addition was first used by the Washington Art Show and Winefest in the spring 2003. Lighting was completed in time for the 2004 Art Show and Winefest. Staying on the riverfront, the Railroad Heritage Park landscaping was provided by Washington Lions with completion in 2001. Several of the downtown park benches were provided by Lions funds as well. Downtown trash receptacles are surrounded by a wooden enclosure. These were originally provided by the Lions and refurbished a few years ago. Since then all metal receptacles have been purchased also partially funded by the Lions. Bright blue trash cans with lids and the Lions emblem were provided for use on the riverfront and downtown festivals. Everyday most of us traverse the streets of Washington. Sometimes we need to find a new business or home address. We look for the street specified and then proceed. Have you noticed the Lions’ emblem on the signs? Washington Lions provided the initial funding for the first street signs in Washington many years ago. The city has continued the tradition of placing the Lions emblem on new signs as well. Washington added a children’s pool to their pool complex in 1998 and wanted umbrellas to surround the area and provide shade for parents watching their youngsters play. Once again Washington Lions came to the aide of the parks department providing monies for the two umbrellas. After more than ten years of use those umbrellas were replaced by the Lions in 2009. The Main and Elm parking lot is the scene of several downtown activities. The electrical outlets installed many years ago no longer were adequate to meet the needs of current use. Washington Lions paid for installation of new electrical cords making the 2003 years Fall Festival and Chili Cook Off much easier on all participants. Each year Washington Lions sponsor a boys little league team and a girls little league team. When the Pop Warner football league needed pads for the goal posts and other equipment the Washington Lions provided the funds for those needs. Lions contributed $10,000 to a new concession stand and restroom for Barklage Field in 2008 and contributed again for the electronic scoreboard. In 2009 they also contributed for a storage facility and walkway for the football field. The youth of our community are our future and Washington Lions provide monies for both Washington and Borgia’s graduation programs. Each year two scholarships to a Missouri College are provided to graduates from Washington High and St. Francis Borgia. The scholarships are for up to $1,000 per semester for two years or a possible total of $4,000 per student. If a local player is selected to play in the Lions All-Star football game the Washington Lions will sponsor the player. Lions have become participants in the Missourian’s education in the classroom sponsoring a class each year. Each year the Missouri Lions Band comprised of Missouri high school students marches in the parade at the Lions International Convention. Washington Lions sponsored two local students to march in the parade in Minneapolis, MN in 2009 and have sponsored two local band members to travel across the United States almost every year when the convention is not held in America. In 2014 the band traveled to Toronto, Canada and the Washington Lions once again sponsor two students for the band. Highway 47 Missouri River Bridge is old and narrow. Prior to October of 2003 it was also dark. Washington Lions provided the impetus and over $30,000 to provide lights for the bridge. Washington Lions have pledged $50,000 towards the cost of the permanent stage at the Washington Fair Grounds and across from Lions Lake. The first payment of $10,000 was made at the Scholarship Dinner June 26, 2012. Since then additional payments have been made on the five year pledge and the final payment will be made September 27, 2016. Washington Lions and the Washington K of C’s were the first civic groups to sponsor a concert at the new permanent stage in April 2013. Washington Lions provide their bar-b-q skills for the annual Historical Society golf outing and have donated $1,000 to the society the last several years. They also provided their bar-b-q skills for the United Way golf outing as well as making a substantial donation each year. The Washington Chamber of Commerce has availed themselves of the Lions Bar-B-Q and bartending skills for their annual mixers the last few years. Cooking and providing the food for the Special Olympics at Washington High’s Rauch Field is in addition to $500 donated annually to the organization. Annual donations are made to other local organizations including American Cancer Society Relay for Life and Loving Hearts. Donations to special causes or organizations are considered on an individual basis and vary year to year. Eyeglasses and eye exams for needy children are a service not broadcast or known by many in the community. Every year children referred to Lions are treated and fitted with corrective lenses as a service for those in need. Annual costs vary but are rarely less than $2,000 and are frequently over $3,000. Eye screening for preschool youngsters has been offered for the last twelve years both in area pre-schools and special events. This screening is specifically for amblyopia, (lazy eye) but can identify almost any eye problem a child may have. Over 2,500 children in our community have been screened in the last thirteen years. Area Lions, headed by the Washington Lions, participated in ECC Senior Health Fair in 2010 offering free glaucoma screening and hearing tests to over 500 seniors since that first year. This is now an annual service project of the Washington Lions. Missouri Lions have two hearing vans available for hearing tests. Washington Lions have made the van available to grade schools for hearing tests and in 2002 and 2003 had the van at the Town and Country Fair for free hearing tests. Although no Lions Club expenditures are involved, several Lions are members of the transporter committee. These Lions are on call 24-7 to drive donated eyes to the Lions Eye Bank in St. Louis. Annually over 30 pairs of eyes are donated through St. John’s Mercy Hospital so that others may have sight. Several people in this area have benefited from Lions Eye Bank donations. 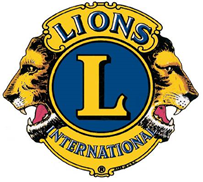 Washington Lions also donate to Saving Sight, an organization headquartered in Columbia, MO. Saving Sight which was MLERF until they changed their name in December 2013 provides assistance to those in need and does research for the aide of the vision impaired. Mid South in Memphis, TN also provides vision services free of charge for needy and is a recipient of Washington Lions charitable activities. Leader Dog for the Blind is another Lions project. Washington Lions provide an annual donation to this project and have provided a leader dog for a vision impaired individual. Raising and training a leader dog costs over $30,000. The dogs are provided free of charge by the Lions. LCIF, Lions Club International Foundation is the charitable arm of Lions International. When heavy rains hit the Franklin County area in May of 2000 LCIF provided funds to be disbursed by area clubs for the benefit of those displaced by the floods. Again in 2016 LCIF made a $10,000 grant to District 26-M2 to help those with problems due to flooding of the rivers in the District’s area. LCIF provides monies world-wide for the benefit of those less fortunate. In 2005 Washington Lions donated $1,000 to LCIF for the tsunami relief effort sponsored by LCIF with a pledge of at least $4,000,000. When hurricane Katrina hit the Southern US, Washington Lions again donated $1,000 to LCIF and another $2,000 to local food pantries helping Katrina victims relocated to this area. The earth quake and tsunami in Japan was a tragedy that brought Lions generosity to the forefront as Washington Lions contributed an additional $1,000 to be included with the over $4,000,000 Lions around the world sent to Japan. Joplin’s tornado in 2012, hurricanes on the east coast of New Jersey and other disasters in the United States and around the world have benefitted from LCIF grants in the last few years. A group of Washington Lions traveled to Joplin and helped rebuild one of the homes destroyed by that tornado. Perhaps you’ve noticed collection boxes for used eye glasses at the old post office or St. John’s Hospital or other location around town. Washington Lions, along with Lions around the world provide glasses to many in impoverished countries. There are many stories of people walking many miles to receive glasses from the Lions and being able to see their loved ones clearly for the first time. Washington Lions collected over 3000 pairs of glasses that were sent to Honduras with local doctors in 2005. Saving Sight has partnered with Lions in Sight of California and Nevada on mission trips to Mexico and South America. These trips last from four to 10 days and used eye glasses are distributed to hundreds of people in the service area each day. Several area Lions have made one or more of these eye mission trips at their own expense to assist those in need. District 26-M2 officers and Lions visited Mexico with several thousand pair of refurbished eye glasses in 2009. Former Washington Lion Missy Carr made the trip in 2010 and Leon Hove traveled to Papalanto, Mexico in August, 2013 to dispense eye glasses to Mexicans living in that area. Hove traveled to Panama in 2015 for ten days helping to distribute glasses to over 2800 Panamanians. Lions are also active in the fight against drugs, working to educate people and to control diabetes. We’ve provided hearing aides to needy hearing impaired persons. Through LCIF give general assistance to the hungry and poor of several third world countries. Washington Lions contribute to and support all of these activities. In 2003 Washington Lions contributed almost $28,000 to various projects and charities. In 2004 $21,000 of Washington Lions project funds found its way to various charities. Washington Lions upped their spending for charitable causes and gave over $24,600 in the 2005 Lionistic year. With the Highway 47 Bridge lighting project finally completed 2006 charitable donations and project funds were in excess of $68,000. We continue to contribute an average of over $30,000 to charitable causes every year through 2012 and 2013 when the figure reached over $40,000 with the addition of the main stage donation. With your help we can continue to fund these worthwhile endeavors. Where does the money come from? Washington Lions volunteer countless hours working many events to raise the cash to give to others for their needs or enjoyment. Washington Lions Super Bowl Bar-B-Q held on Super Bowl Sunday for almost two decades, serves 1600 and raises about $6,000 annually and starts the calendar year off. Poker 500 is now seventeen years old and starting to generate revenue but also provides a lot of pleasure for the participants. Lions Candy Day is back in the fold of fund raisers after a few years absence. Revenue is about $2,000 for a few hours standing on a street corner or in front of a store. Washington’s Chamber Home Show has food and beverages courtesy of the Lions. Proceeds aren’t much but the service is part of what Lions are about. Washington’s Spring Art Show and Winefest is the first time each year the Lions famous whole hog pork burgers are part of the fund raising menu. Depending on weather cooperation, proceeds from this event average just under $2,000. Scholarships are partially supported by the members themselves. Each year Members and their guest make an extra donation to attend the scholarship dinner and officer installation. This extra donation helps Washington Lions pay for two new $4,000 scholarships each year. The Town and Country Fair has become a must for Lions. Many Lions are there every day because of the many activities Lions are involved in. Lions start with the parade, selling soda and their famous pork burgers along the parade route. The last few years with the advent of the post parade party the Lions were overwhelmed with demand for their pork burgers. The fair itself demands almost 2000 volunteer hours of Lions and their friends. The frozen drink stand originated in 2002 and volume has grown every year. Even with this added staffing requirement the Lions still man the gates all day Friday and Saturday. Washington Lions are the only organization manning gates for two days. Some beer stands are manned by Lions on Sunday and the main food stand cash registers are staffed by Lion volunteers Sunday as well. Fair proceeds amount to almost $13,000 a year. Beginning in 2014 a 50/50 raffle will be conducted at the fair in the frozen drink stand. Proceeds from this raffle will go directly to our charity account. The Chili cook off and the Fall Festival of the Arts is the last major fund raising event of the calendar year for the Lions. After the chili is gone the pork burgers are once again on the menu. Along with beer Lions provide the nourishment to keep attendees around to enjoy the three day event. Two new fund raisers were begun in 2005. The “Final Cardinal Game in Busch Stadium” raffle offering two box tickets to the game October 9 and two seats along with other prizes generated $9,000. A Motorcycle Rally October 8 was the brain child of Lion Pat Redington. This was a new experience for Washington Lions and did not prove to be profitable. With the experience from this event another may be held in the future. Washington Lions’ annual “Poker 500” is held every February and is the only poker night still offering regular poker. Both Texas Hold’em and regular poker are offered on either side of the KC Hall and six winners are paid in each category. 2014 marks the seventeenth year for this fundraiser. The “First Annual” Adult Easter Egg Hunt was held on a cold, damp Saturday evening at Rennick Riverfront Park in March of 2008. Who would have thought adults would go crazy for little plastic eggs? The event was a huge success but participation fell off and is no longer part of our fund raising. The newest Lions fund raiser kicked off in 2016 with the help of St. Charles Lions. It is a gun raffle. Twenty-four gift certificates to Cabelas were issued during the week days of July for value of a gun. The beauty of this raffle was if you didn’t want the gun you could use the gift certificate for anything else at Cabela's. During December 2016 another 24 drawings will be held for gift certificates. Washington Lions contribute to children’s literacy through donations to Washington Missourian’s “Newspaper in the Classroom” and “Book Buzz”. Book Buzz provides books for the libraries of three grade schools in the area. A book plate is put in each book stating Sponsored by the Washington Lions. Some money is collected each year through the counter mint sales at various cooperating businesses in town. If you wish to have counter mints or know someone who might have a location let a Lion know. Lions dig in their pockets at various times during the year to help others. One of these is at their annual Christmas party when all contribute so others might have a better Christmas. New fund-raisers are added as opportunities become available. Some fund-raisers are dropped when manpower becomes short or profitability declines. Two fund-raisers some may remember from a few years ago are the rodeo held over at the Washington airport and the light bulb sale. Light bulbs became difficult to sell when the Lions’ cost was more than people could buy them for at local stores. Whatever the project or the need Washington Lions will continue to have fun and enjoy themselves as they work to help the community and those less fortunate than themselves. A Washington Lion’s Vice President said recently “Washington Lions don’t just raise money, they have FUNdraisers”. This statement is very true of the Washington Lions and Lions around the world.